We’re confident a fee-only financial planning model is better for our clients for a lot of reasons. Here are a few. A fee-only financial planner gets paid by doing what we do best — listening to your dreams and goals, and then helping you make them a reality. We don’t receive commissions, so there’s no incentive to steer you toward a particular investment product or service. If you prefer to manage your own investments or don’t have assets that can be moved under our management, we will provide our planning services as a fee-for-service. We analyze your unique situation first to decide on the best investment plan for your risk tolerance, goals, and time horizon. You’ll get unbiased, professional advice you can count on. When you’re happy, we know we’ve done our job. Period. We work with Dimensional Fund Advisors for asset management. Our clients are delighted with the value provided. Plus, our Certified Financial Planner™ professional, Larry Glaze, has sworn a fiduciary duty to avoid situations that can create a conflict of interest. We’ve completed some of our industry’s toughest certification programs. Our solid reputation is built on the trust we have earned from our clients since our founder, Larry Glaze, became one of the first CFP® professionals in Salem more than 25 years ago. If you have most of your savings in your 401(k) at work, you won’t have much luck getting advice from a broker who only earns commission on what he or she sells. We’re interested in the entire picture — helping you maximize all your assets to meet your financial goals. Learn more about the development of one of our favorite money management firms, Dimensional Fund Advisors, in the video below. Everyone requires something different from a wealth manager. With our fee-only approach, you decide how much or how little advice and hands-on planning you need. 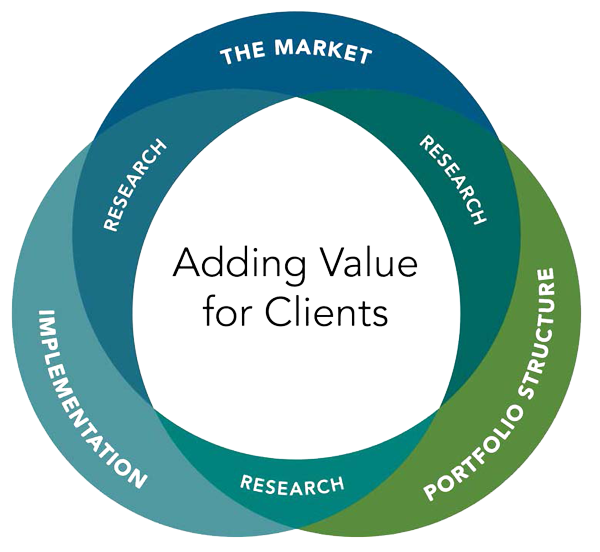 We’ll help you on an hourly basis, develop a comprehensive plan, or manage your entire portfolio—you choose. Of course, your initial visit with us is always on the house.